In total fairness, the people of Twitter don't know whether Kaitlyn loved this proposal or not. She said yes, and she did look super happy as she kept running. It's totally possible that this is exactly what she wanted—Dennis killed it and they will live happily ever after. 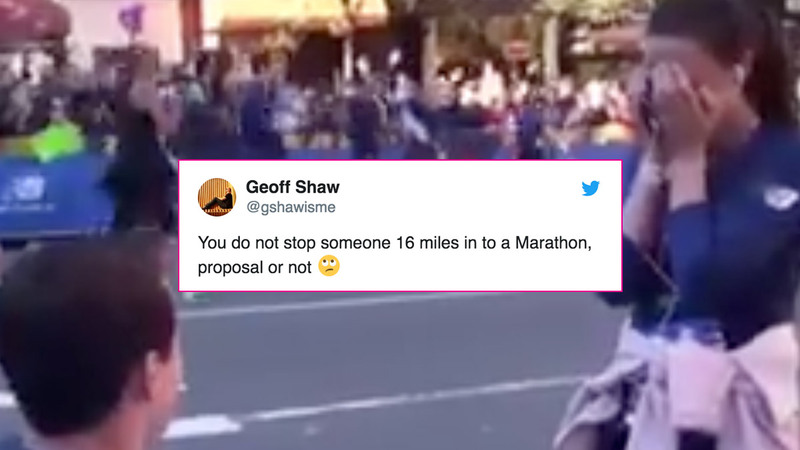 HOWEVER, for any men planning on proposing to their ladies, maybe think twice before doing something that could potentially go viral and get you roasted on the webz. Good luck to you!